Whether you’re just starting out or taking the next steps to expansion, we look at six key lessons for business success from entrepreneurs featured in Xero and Enterprise Nation’s Startup Series. Throughout the Startup Series, we’ve been learning from the experiences and insights of four successful entrepreneurs from different industry sectors. They’ve also shared insights on how to take your business to the next stage: acquiring bigger business premises; hiring staff and getting stocked by major retailers. You can find out about our entrepreneurs successes, the mistakes they wish they’d avoided at the outset, plus the actions you can take to make your brand stand out in our series of 12 videos. Learn more by clicking on the Startup Series episode guide. Here are there 6 key pieces advice for the next generation of business owners. 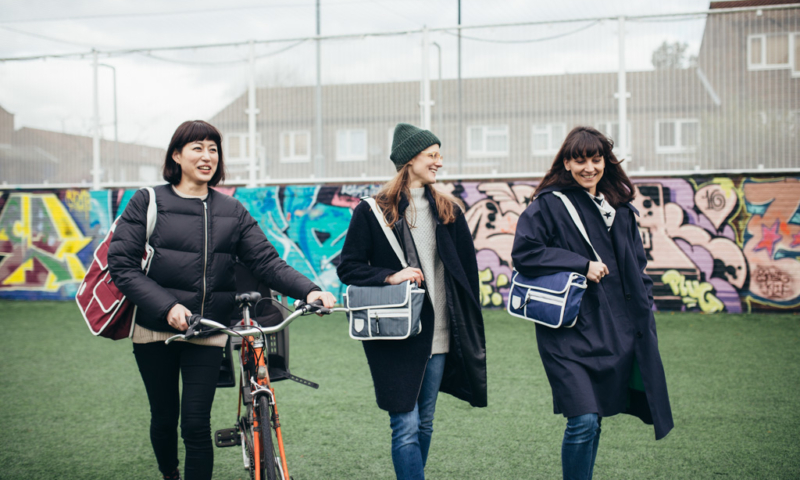 Seeking out customer views and opinions and keeping up-to-date with competitor activities has become second nature to Jacqui Ma, founder of urban bag retailer Goodordering. “It’s become an intuitive process. I know exactly where my bags fit in the whole scheme of things in terms of price point and functionality,” says Jacqui. Having the right processes and systems in place for accurate financial recording will leave you more time to concentrate on growing your business. Pip Murray, got the idea for her brand Pip & Nut after becoming frustrated with the lack of moreish nut butter flavours which were also healthier choices. Leading brands were packed with refined sugar and palm oil, but brands marketed as healthier choices were dull and unexciting. Pip says that once you’ve filled a gap in the market, it’s your job to ensure your product or service carries on performing at its best – for both retailers and customers. Pip’s products are now stocked in more than 4,000 outlets throughout the UK. “There’s a certain amount of legwork that you have to do to make sure your brand delivers the same revenue or same rates of sale as competitor brands,” explains Pip. For many businesses, the first point of contact customers will have with you will be through your website. Omar Choudry says it’s important to put your customer first when creating your site. “People want speed not an overload of information,” explains Omar. Direct customers to where they need to go – if your website is myhats.com, the url on your Instagram feed should be myhats.com/ with the name of the specific product you are featuring, or the ‘Buy Now’ page. Investing time into your recruitment process can help your business to expand, as your new starters may have skills and experiences which you do not currently possess. Employees will help you to grow your business – think about how you can help them grow their careers. Will there be promotion opportunities or transferable skills they can take elsewhere? The post Six business lessons to take your brand from startup to growth appeared first on Xero Blog.